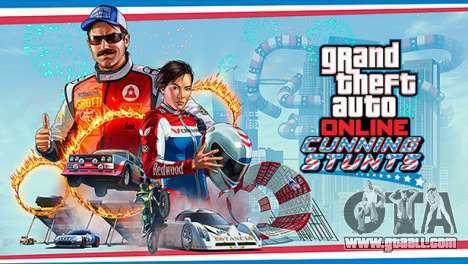 Rockstar has announced the completion of the contest Creator Rockstar Verified Races Stunt Contest and named the winners. Players will receive not only universal respect but also a reward in the form of game currency. 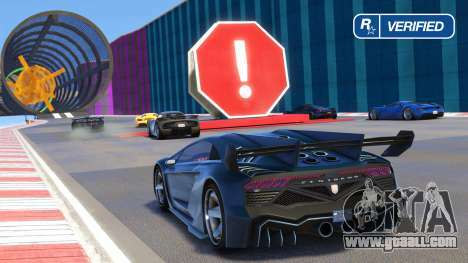 Play 5 new races from the users who participated in the competition and became winners. 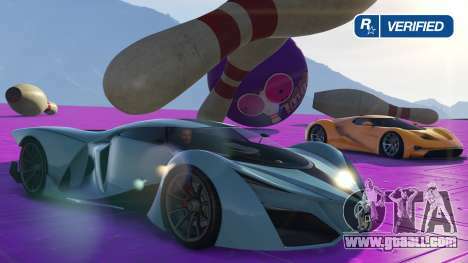 December 7 2016, Rockstar announced the winners of the contest Rockstar Verified Races Creator Stunt Contest. They were: Slimjim171, eclaide38, neogry, Serg3n and shawface. Together with the right to brag, participants will receive $8,000,000 in-game currency. Look at the new maps in the list of "Rockstar Verified" and play the attached playlist through December 12th. "Fight for first place and gasps of air in this cloud-top celebration of Stunt Races - stick to the track and don't look down!" Straw-Dogzz Crew Commissioner Slimjim171 created this race high above the mountain Čilliad in which there is space for epic long jumps, straight sections for acceleration and steep sharp turns. If you are not careful enough, you will can't keep track of road and, ultimately, to fall off the mountain. But to prevent this from happening in a single game we offer you to make use GTA 5 cheats. With their help, you will be able to turn the immortality or disable gravity and more. 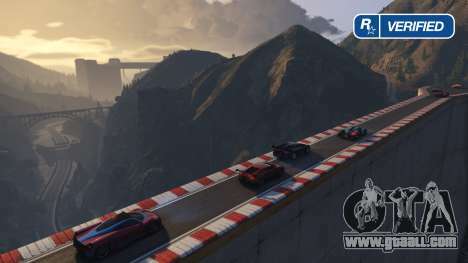 "Careful not to get stung on this thrilling dash above Paleto Cove - a distinctively coloured Stunt Race full of tight turns and narrow dashes." This race takes place around the Northern Chumash with the appropriate name "Black and Yellow" from the French creator eclaide38. Only supercars class, complex twists and turns of the track, tunnels, loop - all this makes it incredibly difficult. 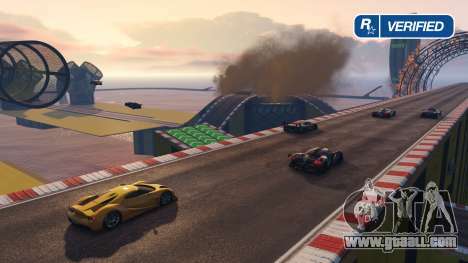 The race is designed for the adrenaline junkie, which is not the first time playing on these maps. "Hit all the sights of North Eastern San Andreas in this luscious tour of Mount Gordo, rapidly descending from raised chicanes down to scenic sea level straights." The name was taken from the location where it all happens. Creator and leader of a gang of "NEO-Army" neogry created a picturesque and a deadly race around mount Gordo. This challenging route has in its Arsenal a lot of ways that can confuse even the most experienced riders. "Rocket down Raton Canyon and enjoy the views from the climb up Mount Josiah before an unforgettable final stretch." Starting off down Cassidy Creek, the leader of the gang of "Jokers Elite Clowns" Serg3n created a great combination of natural areas canyon, Raton and props from "Stunt". This race will take you down the river, through forest fires and then on the playing field. From racer need all his skills for tough tricks and the passage of difficult turns. So if you consider yourself to be a first class racer, I advise you to try this race. "Race over the Alamo Sea from McKenzie Field to Sandy Shores and back. Stunt jumps, long straights, track and street." 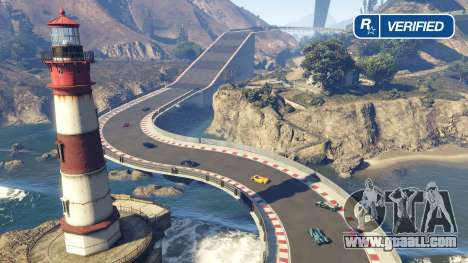 In Meuy's Grand Line, the Commissioner of a gang of "Banditos NorCal" shawface created the route so that players will have to travel back and forth high above the Alamo sea. The main feature of this race is a few passing options. In fact, each player can choose their own path. Among a heap maps Rockstar, playing in each of them, rendered their decision, finding these the most attractive. Have you already tried to play on new maps from contest winners? Tell us about your experience of their passing in the comments.